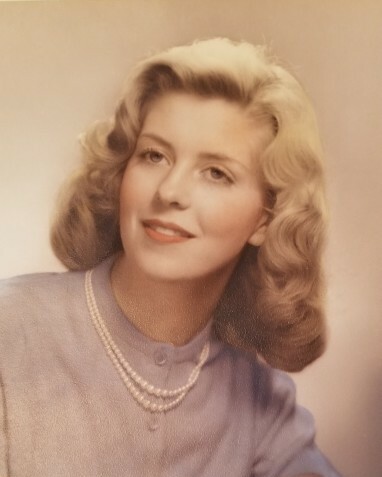 Mary Ann Gray, 76, of Milford CT, formerly of Greenwich CT, passed on Monday, October 22, 2018 at Milford Hospital. Mrs. Gray was born in Maynard OH, February 8, 1942 a daughter of Bolice and Josephine Fudale. Along with her parents she was preceded in death by her husband Robert Gray Sr.
Mary Ann grew up in Greenwich where she graduated from Greenwich High School in 1960. For many years she was the proprietor of the popular Brookchester Inn of Portchester, NY. Prior to her retirement Mary Ann served as a franchise coordinator for Subway Inc. Mary Ann enjoyed expressing herself creatively. All who knew her have a special trinket from quilts to jewelry and special Christmas ornaments. She loved to share her crafts with her family and friends. Mary Ann is survived by her siblings Louis Fudale (Eileen), Thomas Fudale (Patricia), and JoEllen Martin and her loving children Robert Gray, Robyn Zuzick (Mark), and Alison Pate (Dave) and her cherished grandsons Robert and Ethan Gray. A Memorial Service will be celebrated on Tuesday, October 30, 2018 at 11:00 a.m. at CODY-WHITE FUNERAL HOME, 107 Broad St., Milford, CT 06460. Interment will be private. Friends and family may call from 4 p.m. to 7 p.m. on Monday, October 29, 2018 at the CODY-WHITE FUNERAL HOME, 107 Broad St., Milford, CT 06460. To leave online condolences, please visit our website at www.codywhitefuneralservice.com.